The European Union has allowed some insurance contracts for Iranian oil until 1st July, scaling back an earlier plan to ban coverage for Iran cargoes altogether. According to Bloomberg, EU foreign ministers approved detailed rules for enacting sanctions against Iran outlined in January. Because insurers of most the world’s tankers follow European law, its provisions on insurance tied to Iranian oil have an impact beyond the EU’s borders. To address a UK request for more study on the impact that the tighter loophole for third-party liability insurance and environmental-liability insurance will have on global oil prices, the Ministers agreed to review the exemption before a meeting in May. On 23rd January, the EU banned oil imports from Iran while allowing existing contracts, as well as the insurance attached, to continue until 1st July. This undertaking would affect insurance for 95% of the world’s tankers that are covered by the London-based International Group of P&I Clubs, according to insurers and shipowners, reported Bloomberg. Initial drafts of the EU’s more detailed rules for enacting the trade penalties emerged in February, when the bloc’s regulators proposed exempting insurance against the risk of tanker collisions and spills from the restrictions. 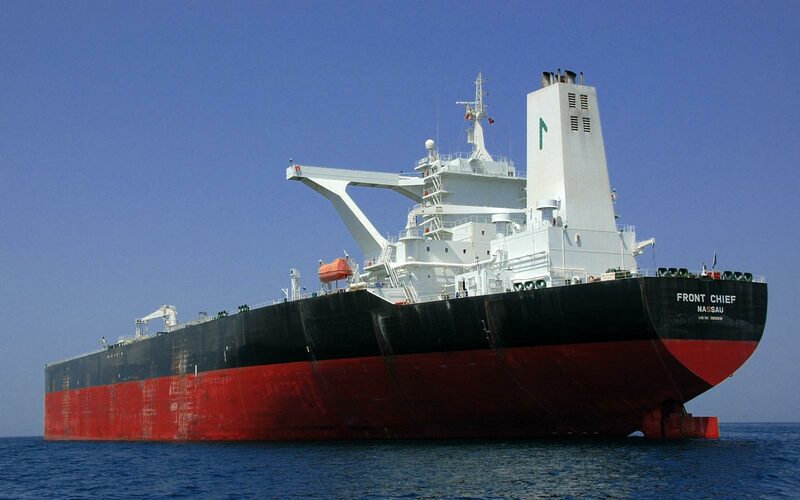 The recent decision to permit third-party liability insurance and environmental-liability insurance until 1st July will allow tankers owned outside the EU to continue to carry Iranian oil for three more months even if they are insured in Europe. Owners of at least 100 large tankers, including Frontline and OSG, said last month they would no longer call at Iranian ports because of the insurance ban. The International Group has pressed the EU to grant an exemption for insurance against crashes and pollution, Andrew Bardot, the organisation’s secretary and executive officer, said last week, reported Bloomberg. This October, Venezuela is due to hold elections amid increasing concerns over the health of President Chavez, as he continues his battle against cancer. Should his health hold up, it is believed he will be re-elected. However, this is one region where any internal political uncertainty is less likely to add to the current wave of instability in the oil markets because of long term oil-for-credit deals with Asian buyers, writes Gibson Research in its weekly report. In recent years, the US has had an uneasy relationship with Venezuela, which has not been helped by the state-owned PdV providing shipments of refined petroleum products to Iran, which has resulted in sanctions against the oil company. While Venezuela is not on the US list of embargoed countries, recently the Chavez Government has shown a preference to supply crude to China and increasingly, more cargoes to India, rather than the nearer US refinery market. The tanker market has been a major beneficiary from this difficult relationship in terms of additional tonne/miles and this situation is set to continue. The US still takes around 1 mill barrels per day of Venezuelan crude, although imports have been falling from a peak of 1.78 mill barrels per day in 1997. However, since Chavez’s nationalisation campaign in 2006, the US oil majors have left the region, which also ended US investment in the country’s upstream business. Last November, PdV secured loans totalling $1.5 bill with Japan and in exchange, the state oil company will supply crude oil and petroleum products to the country. The initial contract is for 3 mill barrels per year, however, Japan is eager to diversify its supply away from the Middle East (especially from Iran) and it is believed that this will be the first of many such long-term procurement deals from the South American country. 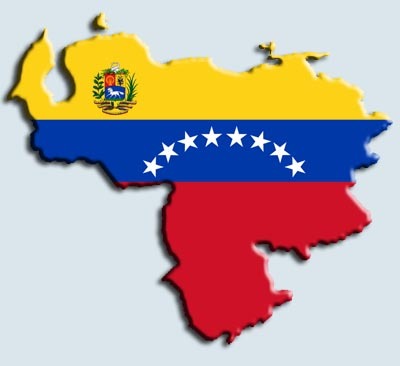 However, the reality is that Venezuela’s long term future for crude exports will be dominated by deals with China. Exports of crude to China almost doubled last year, with loans for oil running into billions of dollars. According to the same source, Chinese-Venezuelan joint ventures could mean exports to the region reaching 1.1 mill barrels per day by 2014. 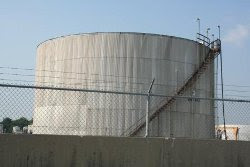 Recently, the country’s energy ministry reported 2011 production at 2.99 mill barrels per day, up 5% on the previous year. 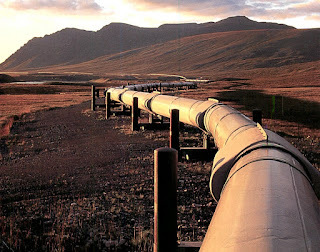 According to the ministry, Venezuela aims to increase production to 3.5 mill barrels per day by the end of this year. However, history tells us that figures released by the administration should be treated with skepticism, Gibson warned. What can be treated as hard fact is that more crude volumes will inevitably go east. NEW YORK – Crude oil futures fell Wednesday, hit by a surprise build in US oil inventories and the renewed potential for a strategic oil reserve release. Light, sweet crude oil for May delivery settled $1.92, or 1.8 percent, lower at $105.41 a barrel on the New York Mercantile Exchange, after dipping below $105 a barrel earlier in the session. Brent crude oil on the ICE futures exchange was $1.10 lower at $124.16 a barrel. Crude oil prices, which fell throughout the session Wednesday, slumped after the Energy Information Administration reported that US oil stockpiles rose by 7.1 million barrels last week to a seven-month high. Analysts had expected a more modest 2.2 million-barrel increase. The larger-than-expected build combined with new reports of potential strategic oil releases on comments made by a French official raised the specter of increasing global oil supplies, said Phil Flynn, an energy analyst with PFGBest. "It was a little bit here, a little bit there, a little bit of everything today," he said. Earlier Wednesday, French government spokesman Valerie Pecresse said the country is working "alongside the US and the UK in the consultation with the IEA [International Energy Agency], which could allow reserves to be used." The statements follow pledges earlier this month from US and UK leaders that they will keep open discussion about an oil release. But last week, the IEA's executive director said the agency hadn't discussed plans for a release with its members. "It's looking more and more like they are going to go ahead and do it," said Carl Larry, head of trading adviser Oil Outlooks and Opinions. China Petroleum and Chemical Corp (Sinopec), the country's second largest integrated oilcompany, posted a 30% fall in fourth-quarter net profit, missing forecasts, as big losses at its refining arm offset upstream gains. Sinopec , Asia's largest refiner, saw heavy refining losses last year as increases in domestic prices for oil products failed to keep pace with strong rises in international crude prices, and analysts said its earnings would still largely hinge on international oil prices. ‘Sinopec is facing a lot of uncertainties this year. Its refining segment is still losing money due to high crude prices. Its petrochemical business is also deterioteriating due to rising cost and weaker demand,’ Yan Shi, analyst at UOB Kay Hian, said on Monday. Sinopec's profitability may have improved slightly after the government hiked domestic petrol and diesel retail ceiling prices by 6-7 percent from March 20, and raised the threshold of windfall tax on crude oil production from $40 per barrel to $55 per barrel. However, with crude oil prices being pushed up by ongoing tensions between Iran and the West over its disputed nuclear programme, Sinopec estimated in its annual report on Sunday that crude oil ‘will generally fluctuate in a high range’. China's fuel price hikes often come smaller and later than required under its pricing formula due to inflation concerns, leaving refiners saddled with mounting losses. Chinese oil firms make a profit on oil and gas production, fuel sales and chemical businesses but their refineries bear the brunt of losses caused by government price controls. Sinopec's refining losses amounted to 37.6 billion yuan (€4.4 billion) in 2011 versus an operating profit of 14.9 billion yuan in 2010. Its upstream exploration and production division realised an operating profit of 71.2 billion yuan last year, up from 46.7 billion yuan in 2010, thanks to stronger crude oil prices. Its oil and gas output edged up 1.6% year on year to 407.91 million barrels of oil equivalents (BOEs) in 2011, with crude production falling 1.9 percent and natural gas output rising 17.1 percent. 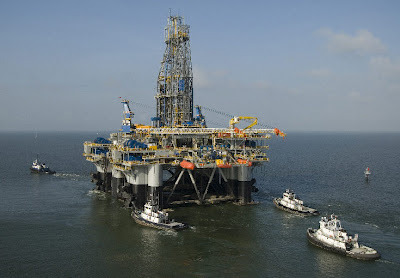 For 2012, it plans to produce 326.52 million tonnes of crude oil and 582.6 billion cubic feet of natural gas. The company processed 217 million tonnes of crude oil last year, up 3% year on year. Sinopec said it aims to process 225 million tonnes of crude this year. Unlike PetroChina and CNOOC, which derive most of or all of their revenue from exploration and production, Sinopec is heavily focused on the downstream refining segment. Sinopec is expected to receive a gradual injection of overseas producing assets from its parent Sinopec Group,and the move should benefit Sinopec Corp shareholders in the long run, analysts say. LONDON (Dow Jones)--Tullow Oil PLC (TLW.LN) shares rose nearly 5% Friday after the U.K. oil explorer said it found "good quality" oil in a freshly drilled well off the coast of Ghana, a discovery that further proves up the potential of a deep water area near its giant Jubilee field. Shares in Africa-focused Tullow helped push the FTSE 100 index higher as investors showed their enthusiasm for the company's latest exploration success. At 1331 GMT, Tullow shares were up 74 pence, or 4.96%, at 1544p. It was the stock's second fillip in three days, jumping 2% Wednesday on news that the company would double its dividend amid record full-year earnings. 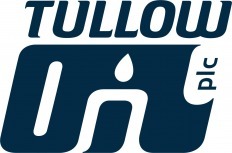 Tullow, which has carved out a reputation in recent years as one of the world's most successful prospectors with major crude finds in Ghana, French Guyana and Uganda, is in the midst of a drilling campaign to quantify how much oil and gas is contained in the Tweneboa, Enyenra, and Ntomme fields some 20 kilometers west of Jubilee. Production from Jubilee, discovered in 2007, is expected to reach between 70,000 and 90,000 barrels of oil a day this year. The company said results from the latest Enyara deep water appraisal well means it is highly likely that high-quality oil flows throughout the reservoir. Two earlier test wells paid off in similar fashion, buoying hopes that the field is home to sizeable amounts of light oil, which is usually more valuable than heavier, sulfurous crudes. "This bold step out is an excellent result, which is further enhanced by the quality and thickness of the reservoirs found at this downdip location," said Tullow Exploration Director Angus McCoss. Analysts said the significance of Friday's news lay less in proving that the reservoir contained sufficient commercial quantities of oil but more in what the results showed about the quality of the Enyera field. "Although we had little doubt about the economic viability of the Tweneboa, Enyenra, and Ntomme complex, we believe that today's results constitute further evidence of the good quality nature of the fluid trapped in the accumulation--which is light oil--and of the lateral connectivity of the Enyenra field," said Barclays Capital's Alessandro Pozzi. "This is a critical factor that eventually determines capex and recovery factors," he said. Citigroup, meanwhile, said it would enable Tullow to move ahead with its plan to develop the area in the third quarter. "Results from the wireline logs and pressure data demonstrated that the oil is in static communication with the oil seen in the other wells across the field, which is encouraging," Citigroup's Michael Alsford said in a note. 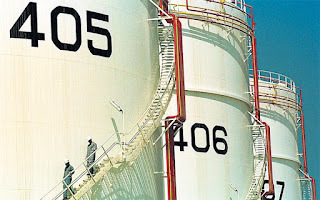 Ghana's state-owned Bulk Oil Storage and Transportation (BOST) Company is soon to start building its storage terminal for petroleum products and liquefied petroleum gas (LPG). The company acquired 300 acres of land at Atwereboanda in the Ahanta West District earlier this year on which to build the petroleum terminal. BOST is expected to break ground on the new $200 million (€152 million) LPG terminal later this year and take two years to complete it. It will be financed through a loan from the China Development Bank (CDB). Phase one of the terminal will include 20,000m3 of initial storage capacity for LPG and 150,000m3 for refined petroleum products from the terminal at Pumpuni, near Takoradi in the Western Region. BOST owns six storage terminals in Ghana, located in Accra Plains, Mami-Water, Akosombo, Kumasi, Buipe and Bolgatanga. More than 20 years later, a ship best known for causing an environmental catastrophe is finally being put to rest. The Exxon Valdez, which spilled 11 million gallons of oil into Alaska's Prince William Sound in 1989, is being bought for $16 million by Global Systems Marketing Inc., a firm that purchases ships for demolition, Bloomberg reports. The vessel, now known as the Oriental Nicety, has changed names and owners four times since the infamous disaster. At the time, the Exxon Valdez spill was the largest in U.S. history and resulted in Exxon having to pay hundreds of millions of dollars to avoid criminal prosecution, as well as to resolve civil claims made by federal and state governments, according to the Exxon Valdez Oil Spill Trustee Office. In addition, the company paid nearly $4 billion in cleanup costs. Still, Exxon avoided a larger punishment. In 1994, an Anchorage jury awarded victims of the spill $5 billion, but after a 15-year legal battle the case made it to the U.S. Supreme Court where the justices awarded the victims just $507 million, according to CBS. The long and protracted legal battle waged by victims may have helped shaped the decision by fishermen affected by the Deepwater Horizon spill in 2010 -- now the largest in U.S. history -- to settle quickly with BP, according to the Christian Science Monitor. A group of fishermen agreed earlier this month to drop litigation against BP in exchange for a $7.8 billion payout. The Exxon Valdez spill cost tens of thousands of people who depended on fishing for a living a total of $300 million, according to the Center for American Progress. In addition, tourism in southwest Alaska plunged 35 percent in the year immediately following the spill. But Exxon still managed to take home billions of dollars in the spill’s aftermath and today is currently in a back-and-forth battle with Apple for the title of most valuable company in the world. with traders poised for differentials to come under additional pressure this week because of lacklustre European demand. Around ten Nigerian tankers are unsold from the April programme, traders said. "About two thirds of these barrels go to Asia but the other buyers have to make the economics work. 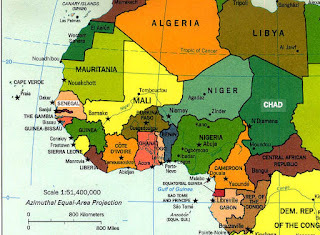 I don't know if (refining) margins have come back enough for them to buy," said a West African trader. $2.50 a barrel which was steady from Friday. came onstream late last year. * In April, Angola was due to export 1.79 million bpd. Nigerian Antan from Mercuria at undisclosed price levels. * The companies could not be reached. Cabinda before the tender, traders said. 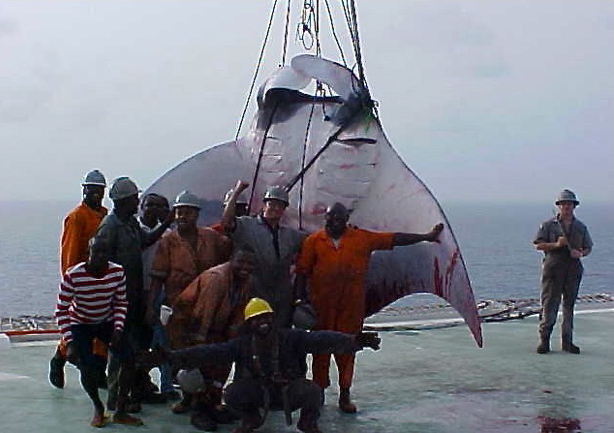 There are few details, but images posted this week to a Nairaland website forum starkly illustrate a story about a giant manta being hauled aboard an oil-rig servicing ship after becoming entangled in its anchor line in the South Atlantic. The unusual catch off Nigeria's Bonny Island involves one of the largest and most docile marine species. Giant mantas, which are found in temperate regions around the planet, can measure nearly 30 feet across and weigh more than a ton. 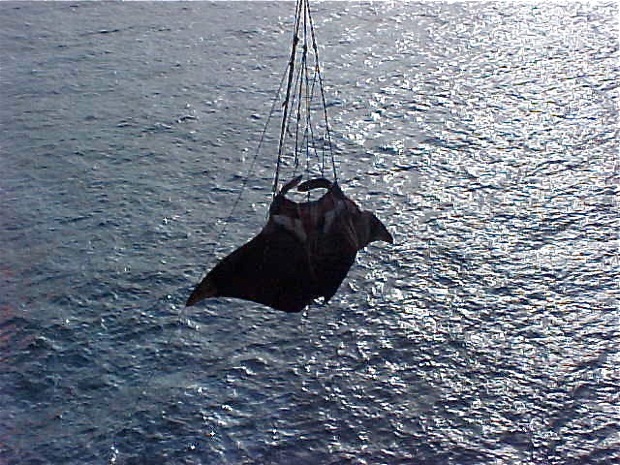 A brief description of the catch, from a forum contributor named Pharrod, is posted between the accompanying images, and it should be noted that plankton-eating giant mantas do not possess stinging spines, contrary to what's stated in the description. "The stinging Manta ray was killed when the oil rig servicing ship anchored at the middle of ocean near Bonny Island. The anchor of the ship brought the stinging ray up while the ship was about to sail. The stinging Manta ray was killed while resting at the ocean floor. "But guess what? It was sold to fishermen that was around when it was killed at the amount of five thousand naira only. It could have been preserved. My friend is one of the people on the ship deck." Transas Marine has launched what it calls a ‘pay as you sail’ (PAYS) chart solution for (S)ENCs. The company has received approval for this service from PRIMAR and IC-ENC after succesful sea trials and verification by DNV. With Transas PAYS solution the vessel will have a license and access to install, view and pre-plan using official (S)ENC’s where the necessary PAYS permissions have been obtained without additional cost. 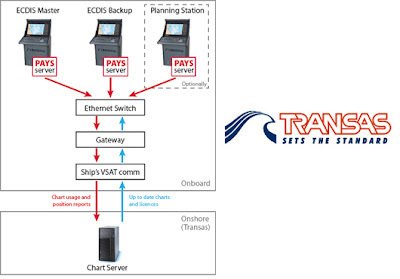 What is claimed to be unique with Transas PAYS solution is that recording and reporting of charts used is undertaken by using Transas Navi-Sailor 4000 ECDIS logbook. Vessels only pay for charts actually used for navigation monitoring. In other words, only charts that have been displayed on the screen together with ships position, or generated navigational alarms. Transas PAYS is a service for accessing chart licenses and corrections online together with the ECDIS. PAYS communicates via Transas Gateway firewall for licensing, corrections and sending chart reports. This works via a secure online internet connection from the vessel’s ECDIS to the Transas chart server. It also allows remote support and maintenance on the Transas ECDIS, which helps to increases safety on board. Anders Rydlinger, Transas Marine navigation product development director said; “With the official Transas Admiralty Data Service (TADS) SENC-service developed in co-operation with the UKHO, Transas ‘Pay As You Sail’ gives the vessel access to the most cost and time efficient (S)ENC service on the market and the best (S)ENC coverage available for navigation and planning. Transas ‘Pay As You Sail’ service complies with UKHO requirements. Besides the vessel’s internet connection, no extra communication equipment, or tracking service is needed”. BRUSSELS — Iran was effectively cut off from global commerce on Thursday, when the company that handles financial transactions said it was severing ties with many Iranian banks – part of an international effort to discourage Tehran from developing nuclear weapons. The action enforces European Union sanctions because global financial transactions are impossible without using SWIFT, and it will go a long way toward isolating Iran financially. 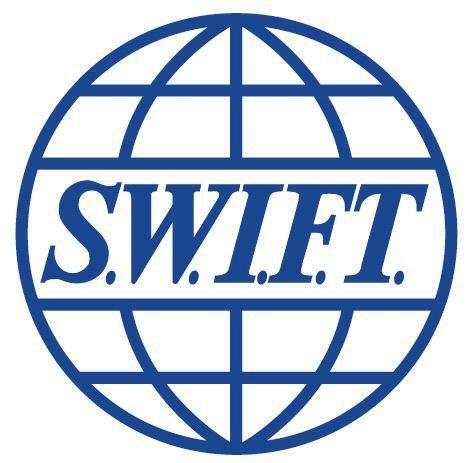 The Society for Worldwide Interbank Financial Telecommunication, or SWIFT, is a banking hub crucial to oil, financial transactions and other trades. 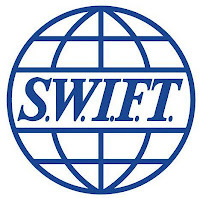 "Disconnecting banks is an extraordinary and unprecedented step for SWIFT," said Lazaro Campos, chief executive of SWIFT. "It is a direct result of international and multilateral action to intensify financial sanctions against Iran." Though Thursday's move adds no new sanctions, it is intended to make sure that EU sanctions that have already been approved are watertight. In a statement, the European Council – comprised of the government leaders of the 27 European Union countries – said it had "developed the application" of its restrictive measures against Iran. In addition to sanctioning various officials and freezing the assets of certain companies, the European Union plans to institute an embargo on the import of Iranian oil in July – an attempt to choke off funding for Iran's nuclear program. The EU sanctions are aimed at forcing Iran to demonstrate to the international community that it is not trying to develop nuclear weapons. Iran says that its nuclear program is for peaceful purposes only, but officials in many other countries – including Israel – believe otherwise. 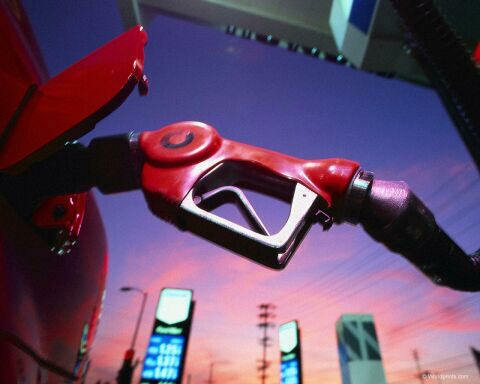 High gas prices: How much can Obama (or could Gingrich) do? Rising gas prices have put a damper on President Obama's political fortunes—54 percent of the respondents to a new CBS-New York Times poll said they believe the president can do a lot to control prices at the pump. And nearly two-thirds of the respondents to an ABC-Washington Post poll said they disapprove of how Obama is handling the issue. It's perhaps not surprising that Obama saw sharp drops in his overall approval rating in both polls. The White House can't complain too much about taking the blame for high gas prices. While campaigning for president in 2008, Obama castigated President George W. Bush over the same issue. "You're paying nearly $3.70 a gallon for gas—2 1/ 2 times what it cost when President Bush took office," he told a crowd in Ohio at the time. Political rhetoric aside, how much can the president really do to control gas prices? Not all that much. The major cause of the recent spike—gas rose to $3.80 a gallon this week—is the increasing tension with Iran, most analysts say. That's making traders nervous about a possible conflict in a crucial oil-producing region, which could have the effect of cutting off a significant source of the world's oil. In addition, Japan has been using much more oil since shutting down virtually all of its nuclear power plants in the wake of the Fukushima disaster last year. And various conflicts in Sudan, Yemen, Syria and Libya have choked off some production in those countries. Republicans say opening up the United States to more domestic drilling would bring prices down. Newt Gingrich has been hammering on that theme lately in his quest for the Republican presidential nomination, saying he has a plan to reduce gas to $2.50 a gallon. But American consumers are part of a global market for oil, and crude oil accounts for about three-quarters of the cost of a gallon of gas, according to the Energy Information Administration. So increasing domestic production wouldn't do much to ease prices. Not to mention, it would take years to come to market and start bringing prices down even marginally. What about the demand side? Couldn't the administration bring down the amount Americans spend on gas by encouraging a shift to more fuel-efficient vehicles—perhaps by mandating that automakers adopt higher fuel economy standards? Yes, eventually. But again, it would take around a decade, experts say, for the effect of that shift to start to be felt at the pump. As Jay Hakes, a former top Energy Department official, told The Washington Post: "There is a substantial time lag between the adoption of energy policies and their impact on the market." Some Democrats have argued that unscrupulous speculators on Wall Street are driving up prices in search of short-term profits, and that the administration could ease the pain at the pump by cracking down on this activity. But even if that is going on, most experts say that global oil markets are simply too large for regulators to police. "If you go and put a position limit on [contracts in the New York Mercantile Exchange], fine," energy analyst Stephen Schork told the Washington Post last week. "But a significant amount of trading is in the Brent Market, which isn't in New York. You'll do nothing to relieve volatility." One last-ditch move would be for President Obama to tap the Strategic Petroleum Reserve, as was done during the first Iraq war in 1991, after Hurricane Katrina damaged refining facilities in 2005, and by President Obama during Libya's civil war last year. But this has generally been done as a temporary measure in response to one-off supply disruptions, not as a policy response to rising prices. Indeed, experts say the impact on prices has generally been only temporary. All of this sounds like bad news for President Obama—but here's something that might give the White House more reason for optimism: Despite what voters say, there's not much evidence that oil or gas prices on their own are a significant factor in determining presidential elections, according to Nate Silver, the New York Times' statistical guru. Still, prices at the pump don't exist in isolation. The fear is that they could put a crimp in the economic recovery, by leaving Americans with less money in their pockets and thereby slowing down consumer spending. If that happened, voters would almost certainly blame Obama. ALBANY, N.Y. (AP) — Environmental and health groups are praising the New York State Assembly for including an independent health impact study of hydraulic fracturing for natural gas in its budget proposal on Monday. Numerous physicians, health organizations and environmental groups have criticized the Department of Environmental Conservation for not including a comprehensive health impact study in its environmental review of gas drilling using high-volume hydraulic fracturing, or fracking. 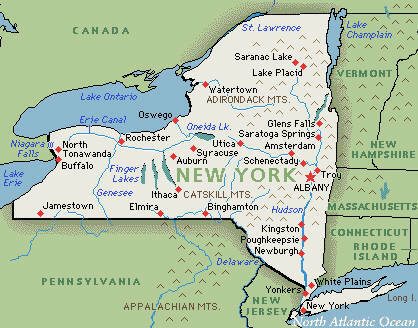 Gas drilling in New York's part of the Marcellus Shale has been on hold since the DEC review began in 2008. Gov. Andrew Cuomo and DEC Commissioner Joe Martens have said the review and new regulations are expected to be completed within a few months. The Assembly bill would set aside $100,000 for a study by a school of public health within the state university system following a model recommended by the Centers for Disease Control and Prevention. Before the study, the school would have to prepare a document outlining its plans, and the public would have the opportunity to comment and suggest changes. The study would include research into other states' experiences with fracking; estimated costs of any health impacts to the state, insurers, employers and the health care system; and a long-term plan for monitoring and mitigating health impacts. "This study will go a long way to answer the many questions New Yorkers have about what fracking would mean for their health if this goes forward," Assemblywoman Barbara Lifton, who proposed the study, said in a prepared statement. Lifton is a Democrat from Ithaca. There is no companion bill in the Senate. The Medical Society of the State of New York has called for a moratorium on natural gas extraction using hydraulic fracturing until scientific information on health impacts is available. Fracking stimulates gas production by injecting a well with millions of gallons of chemically treated water at high pressure to fracture surrounding shale, releasing trapped gas. There are concerns about health impacts of chemicals used in the process, handling of large volumes of highly contaminated wastewater, air pollution, and other issues. "We have county medical societies throughout upstate and downstate that are very concerned that the health impacts have not been studied," said Pat Clancy, the medical society's vice president for public health and education. In October, 250 physicians and medical professionals signed a letter to Cuomo calling for a comprehensive public health impact assessment. "DEC has fully considered the impact high-volume hydraulic fracturing could potentially have on public health and our communities if it goes forward in New York," the environmental agency said in a statement. The agency said it looked at ways the public could be exposed to hazards from gas drilling and proposed guidelines and regulations to prevent that exposure. "DEC's approach is to address the potential causes of exposure to prevent them from happening in New York state. If there are no pathways of exposure in the first place, adverse health impacts cannot occur." A formal health impact assessment such as the one described in the Assembly bill would be far more extensive and detailed than what DEC has done. In comments to DEC on its environmental review, the Natural Resources Defense Council said DEC looked at some health issues but ignored others. NRDC noted that there are numerous reports of health complaints among people who live near natural gas drilling and fracking operations in other states and some have been investigated by researchers or governmental agencies. Reported health issues include eye irritation, dizziness, nasal and throat irritation, respiratory symptoms, nausea, fatigue, headaches, anxiety and other ailments. "New York State has to date failed to take a hard look at the health impacts of fracking," said Katherine Nadeau of NRDC. "By calling for an independent study of fracking's health impacts, the Assembly is leading the charge to provide state leaders with the science necessary to make informed decisions." March 9 (Reuters) - Europe's debt crisis and an oil price rally are the biggest threats to global oil demand this year, OPEC said on Friday, adding it was still pumping above its target despite a slide in Iranian production. 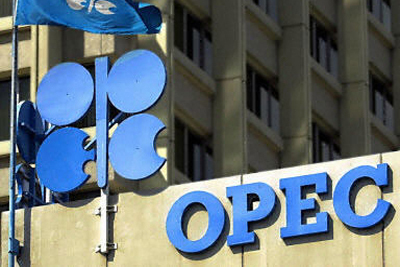 The Organization of the Petroleum Exporting Countries (OPEC)retained its view that world oil demand will grow by 900,000 barrels per day (bpd) this year, unchanged from last month, but warned the weak pace of growth in developed economies could crimp global appetite for oil. "The weak pace of growth in the OECD economies is negatively affecting oil demand and imposing a high range of uncertainty on potential consumption growth", OPEC said in its monthly report. "Although U.S. economic data points toward a better performance, the situation in Europe along with higher oil prices has resulted in considerable uncertainties on the future oil demand for the remainder of the year." OPEC, the source of more than a third of the world's oil, cut its forecasts for world oil demand growth last month on fears a struggling economic recovery in developed economies could offset strong demand from China and India. Brent oil prices have risen by more than 16 percent in the year to date as tensions between Iran and the West over nuclear policy escalate, reaching all time highs in euros of 93 euros per barrel in late February to pose a new headache for cash-strapped consumers in Europe. In the United States, the Republican party has turned high gasoline prices into a hot debate for incumbent Barack Obama's presidential race. The U.S. Energy Information Administration, one of the three most closely watched in the industry, cut its 2012 world oil demand growth forecast by 260,000 bpd to 1.06 million bpd earlier this month. A report from the International Energy Agency (IEA), which provides energy advice to 28 industrialised countries, will be also closely eyed for signs of potential demand weakness when it is released next week. In the environment of high oil prices, OPEC production rose by 140,000 bpd in February to 30.97 million bpd, according to secondary sources, and exceeding its own self-imposed target by 970,000 bpd. It was the highest production since November 2008. Production from non-OPEC countries should increase by 600,000 bpd this year, down 130,000 bpd from the previous month, OPEC said due to revisions in forecasts from Syria, the former Sudan and Yemen. In addition to these supply disruptions, a coordinated Western embargo that will hit Iranian crude from June has heated up prices, which OPEC says could ultimately boost countries in the Gulf Cooperation Council and even Iran. "Heightened security concerns and possible disruptions to oil output could exert destabilising effects on oil markets and increase oil price volatility," OPEC said. "Ironically, these developments might actually be positive for regional growth as they are likely to lead to higher international oil prices, boosting the fortunes of the GCC and even Iran," it added. The markets are eagerly watching for any signs of disruptions from the upcoming tougher sanctions to Iranian oil production and exports but the Islamic republic said last month its output was stable at around 3.5 million bpd. OPEC said Iranian production has however slightly fallen, down to 3.42 million bpd in February, compared with 3.46 million bpd in January and 3.53 million bpd in December. Lagos — A Nigerian flagged vessel, M.T. Madina, has been arrested in Accra, Ghana for allegedly carrying crude oil stolen from Nigeria to a private jetty in Accra, Ghana. The vessel which was arrested on Saturday by the Ghanaian Naval authority was said to have lifted the crude from a mother vessel in Nigeria when sailing to Ghana. The ownership of the vessel could not be ascertained at press time, but members of the Indigenous Ship Owners Association of Nigeria, ISAN, are working round the clock to uncover the owner. It was gathered that the ship's captain and his crew are currently being detained by the Ghanaian authority even as they commenced investigation into the matter. When Vanguard contacted spokesperson of the Nigerian Maritime Administration and Safety Agency, NIMASA, Hajia Lami Tumaka, she said she was not aware of the development but promised to get back to Vanguard immediately after her findings. Local shipping operators have also expressed concerns over the increase in the volume of crude oil theft in Nigeria. Reacting to the development, Captain Niyi Labinjo described the incident as unfortunate, adding that ISAN members have been warned against doing anything that might bring the group to ridicule. He explained that it was not every ship owner in Nigeria that was a member of ISAN, stating that members of the association have been warned to ensure that they hire their vessels to only genuine people. KUWAIT CITY (Dow Jones)--Four former oil ministers of OPEC member states Iraq, Libya, Algeria and Nigeria have set up an international energy alliance to tackle various energy issues, the four said in an announcement late Sunday. Issam Chalabi, Shokri Ghanem, Chakib Khelil and Rilwanu Lukman, former oil ministers of Iraq, Libya, Algeria and Nigeria respectively, met in Vienna last month and decided to set up the alliance. They aim to address various energy issues of concern to interested parties including, but not limited to, governments, oil companies, financial institutions, energy agencies, services companies, as well as those in the fields of construction, engineering and manufacturing, the alliance said in a statement. Chalabi was Iraq oil minister between 1987 and 1990 and the former head of the Iraqi national oil company. Ghanem was the Libyan oil head until he defected from Libya last year following the uprising against former president Gaddafi. Khelil was removed from his post as Algerian oil minister last year after spending almost 11 years in the position. Lukman was the Nigerian oil minister twice for the periods 1986 to 1990 and 2008 to 2010. 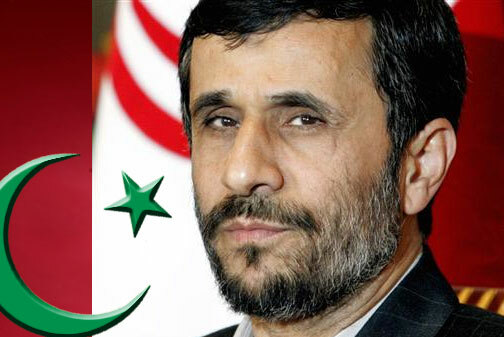 Both Khelil and Lukman have served as presidents of the Organization of Petroleum Exporting Countries, or OPEC. WASHINGTON -- The contract assigning a third-party company to investigate the environmental impacts of the Keystone XL project adds to questions about the impartiality of the study, after the document was shown to be a binding contract between the outside company and the company building the pipeline, not the State Department. The contract, posted quietly to a State Department website on Friday in response to a request by Sen. Bernie Sanders (I-Vt.), shows that it is a signed agreement between Entrix, an outside consultant, and TransCanada, the pipeline builder. The posted version was also heavily excised, with most names and numbers, as well as some entire pages, blacked out. "What appears to have happened was Entrix was doing an environmental study intending to minimize the potential environmental impacts of Keystone XL," said Anthony Swift, an energy lawyer with the Natural Resources Defense Council. "It's sadly not incredibly surprising. We were dealing with an environmental review that was done by Entrix on TransCanada's behalf, and that does not pass muster of environmental law." The State Department has previously defended the arrangement as following typical third-party contracting procedures. "Third-party contracting is very common in federal environmental reviews of projects proposed by private applicants," a State Department spokesman told HuffPost Friday. "In each case, the applicant, a private company, pays the cost of the review so that taxpayers do not have to, while the work of the contractor is entirely supervised by the federal agency." Still, State has long refused to release the contract itself. Environmental advocacy groups and several senators have been seeking access to it ever since it was first reported in The New York Times that Entrix had pre-existing ties to TransCanada, and once described it in marketing materials as a "major client." "This has arguably been the most tightly held document over Keystone," said Damon Moglen, the director of the climate and energy program at Friends of the Earth, which also obtained the documents under a long-delayed FOIA request. "You get this sense with this contract that Entrix was acting as an adjunct to TransCanada." Entrix and TransCanada have denied conflict of interest allegations. The Huffington Post previously reported that the State Department's review of the environmental impact of Keystone XL was hampered by its lack of scientific staff equipped to mediate any disputes that might emerge between TransCanada and the contractor. This story was updated to include comment from the State Department. Nato has confirmed that the 6,813 dwt chemical tanker ‘Royal Grace’ has been hijacked by Somali pirates off the coast of Oman. Reports first appeared last Friday night that the Panama-flagged tanker was under attack by a pirate skiff. However, her whereabouts were mostly unknown. It wasn’t until the owners of the vessel received an email from the vessel’s master on Sunday that officials were able to confirm the hijacking, Reuters reported. Somali Report also said that the tanker had a crew of 22, made up of Indian, Pakistani and Nigerian nationals. The vessel was last reported to be heading towards Somalia under pirate control. She is owned by Dubai-based Oyster Cargo & Shipping. IMO’s MEPC 63 held from from 27th February to 2nd March approved a number of revisions to guidelines on the method of calculation of the attained EEDI for new ships. Reproduced courtesy of a brief roundup of the week's events put together by ABS, the revisions included oil tankers built to the class societies’ Common Structural Rules (CSR) for which a capacity correction factor is applied to the Attained EEDI to account for increased lightship weight and the corresponding reduction in deadweight capacity. For ship‐specific structural enhancements, a correction factor (proportional to the ratio of the minimum design dwt and the enhanced design dwt) is applied to account for increased lightship, for example, due to increased longitudinal strength, structural class notations, bow slamming reinforcement and collision strength. On chemical carriers – a cubic correction factor (dwt/cubic cargo capacity) is applied to the Attained EEDI to take into account the increased lightship due to the greater number of cargo tanks and increased scantlings of those tanks to carry the higher density cargoes relative to oil tankers, both of which need to comply with the same Required EEDI. This was achieved with the help of IPTA’s input. For large ice‐classed tankers, as an option to applying a weather factor of 1.0, EEDI can be determined by conducting the ship‐specific simulation on its performance at representative sea conditions in which case 'Attained EEDIweather' is assigned to the ship. The Committee did not decide on proposals for minimum design speed and minimum power and agreed to further consider the proposals at MEPC 64 in October 2012. New MARPOL VI regulation 21.2 requires the installed propulsion power of a ship to be not less than the propulsion power needed to maintain its manoeuvrability under adverse conditions, as defined in the guidelines under development. An informal group, which convened during IMO’s intersessional working group on energy efficiency, tentatively proposed that a practical means of complying with this regulation would be to specify minimum design speeds for various ship types. They proposed a minimum design speed of 14 knots for small and medium size ships and 14.5 knots for ships greater than 100,000 dwt, recognising that slow speed ships, including tankers are the most vulnerable. IACS confirmed that it intended to submit a proposal (minimum power versus deadweight reference lines) to MEPC 64 containing both an interim approach and the basis for a longer term solution. Of great importance and to stop further arguments, the committee unanimously agreed that the EEDI will not be applied to existing ships. As for market based measures, despite some delegates recommending that energy efficiency design based market based measures (MBM) should not be submitted to the agreed MBM impact assessment study, others considered that there should be some means to compare the energy efficiency of existing ships. Accordingly, all MBM proposals, with any refinements based on MEPC 63 discussions, can be submitted to MEPC 64 in October for consideration by the impact assessment study upon finalisation of the study’s terms of reference in October 2012. The Committee also approved revisions of the ‘Guidelines for Ships Energy Efficiency Management Plan (SEEMP)’ in three areas. Perhaps most importantly, SEEMP should recognise that the vessel’s trade may determine the feasibility of the efficiency measures under consideration. Preliminary verification is carried out at the design stage, which should include model tests for determining the ship’s power curves. This leads to the development of an EEDI Technical File (which contains the details of the parameters used to calculate the Attained EEDI). Details are provided as to the determination of the parameters in the Technical File. Final verification of the EEDI Technical File is carried out at the sea trials consistent with the parameters used in the method of calculation of the attained EEDI. Specifications for sea conditions, ship speed and shaft power and rev/min of the main engine are provided. As for the question of regional reception facilities, the committee adopted amendments to MARPOL Annexes I, II, IV and V to allow small island developing states to develop regional arrangements for port reception facilities, both inside and outside of special areas. Such arrangements may be achieved through regional arrangements based on guidelines approved by the committee where, because of such states' unique circumstances, regional arrangements are the only practical means to satisfy MARPOL’s requirements. A unique arrangement was agreed under MARPOL Annex II for the discharge requirements of prewash residues in chemical carriers. The revision now allows the discharge of prewash residues to be made to a regional ship waste reception centre specified in the applicable regional reception facility plan as an option to the port of unloading. The committee adopted revisions to the NOx Technical Code which, on entry into force on 1st August 2013, allows for an alternative approach (Scheme B) to be used to certify engines fitted with selective catalytic reduction (SCR) units. Scheme B allows certification of engines, which cannot be pre‐certified either on a test bed, or on board under the NOx Code’s standard requirements, by allowing for analytic modelling to estimate the effect that the proposed SCR design and arrangement will have on the NOx emissions from the engine to which it is to be fitted. This modelling is to be validated by testing that can be undertaken using a scaled bench top mock‐up operating on synthetic exhaust gas. The entire Engine Group (engines that require minor on board adjustments and modifications) would not be approved until the NOx reduction efficiency, relative to the parent engine NOx Technical File, has been demonstrated with the SCR installed on board. Twelve months after entry into force of the BWM Convention all ships ≥ 400 gt will need to be surveyed and certificated to comply with the convention. As a minimum, ships must have on board an approved Ballast Water Management Plan and a ballast water record book. To provide for an adequate phase‐in period for survey and certification in advance of the compliance date, the committee agreed to allow the issuance of BWM certificates prior to entry into force of the convention. The committee also agreed that BWM plans approved under A.868(20) remain acceptable until such time as the ship is required to comply with the biological standards in regulation D2 of the BWM convention. Emergency oil-storage facilities are reportedly being constructed in Shanshan, Jintan, Zhoushan and Huizhou, thus covering potential need in west, east and south China. 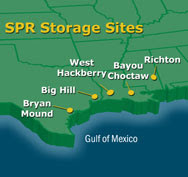 The country's three-phase strategic petroleum reserves program, of which these (second phase) facilities are included, is expected to increase national crude-storage capacity to 270 million barrels. The program's aim is to decrease China's dependence on crude imports, and provide more security from global oil-price fluctuations by creating emergency supplies. China Oil, Gas & Petrochemicals has reported that 8 bases are to be included in the scheme and all second phase tanks are able to store higher-sulphur crude. The other bases in the second phase, according to government and oil-company reports, are located in Xinjiang, Gansu, Liaoning and Tianjin. According to China Oil, Gas & Petrochemicals, China's third-phase crude-reserves program is expected to be completed by 2020, and will increase total capacity for state inventories to a potential 500 million barrels. New figures have been released that show the United Arab Emirates to be the Middle East's largest consumer of jet fuel. It has emerged that the UAE's demand was more than a third of the region's total jet fuel supply; this is more than Saudi Arabia – the Arab world's largest consumer of energy. Official data from the Organization of Arab Petroleum Exporting Countries (Oapec) shows that the UAE got through around 85,000 barrels of jet fuel a day in 2010 - a 44% increase over its 2006 demand. The UAE's need for jet fuel has been continuing to rise for a number of years. In 2007 it reached 67,900 bpd, before growing to 70,600 bpd in 2008. Demand hit 79,000 bpd in 2009 and 85,000 barrels in 2010. Figures for last year have not yet been released, but experts believe the country's jet fuel consumption may have overtaken 2010 volumes. This growth in demand has been attributed to a rise in flights by national airlines, in addition to increased airport operations, mainly in Dubai – the heart of the UAE's business and tourism industries. 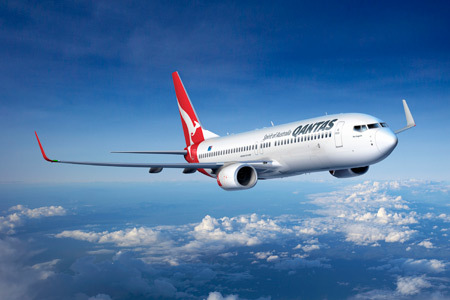 With around 64,100 bpd consumed in 2010, Oapec found Saudi Arabia to be the second largest consumer of jet fuel. Egypt was fifth with almost 12,400 bpd, followed by Oman with 9,200 bpd. An estimated $200 billion (€149 billion) will be invested in the Middle East's aviation sector throughout the next 15 years, and the UAE is predicted to be the main investor. An additional $103 billion will be put towards airport expansions, over half of which will come from Dubai and Abu Dhabi, according to the Arab League. In Jebel Ali, Maktoum Airport is currently under construction and is expected to be one of the largest airports in the world when it comes online. This alone is accounting for 40% of these total investments. In addition, 10 key airports in Dubai and Abu Dhabi are undergoing expansion projects, costing in the region of $78.6 billion. Maktoum Airport alone is costing Dubai in the region of $50 billion to build, while the project to expand Dubai International Airport to increase its capacity to 40 million people will cost around $4.1 billion. Abu Dhabi's government is looking to invest an estimated $6.8 billion to expanding its international airport and $200 million on its Al Ain Airport. $800 million will be invested on Ajman Airport. Airports across the UAE will be able to handle almost 400 million passengers annually in 2012. Over the past three years, Chinese crude imports have increased on average by around 0.51 mill barrels per day per annum, boosting the tanker sector. However, there was a slowdown in crude trade growth in 2011. Imports rose by just 0.31 mill barrels per day on the back of moderating economic growth and slowing refining capacity expansion, Gibson Research said in its recent weekly report. Much of the net gain came from the Middle East producers, with volume from the region up by 0.37 mill barrels per day year-on-year. 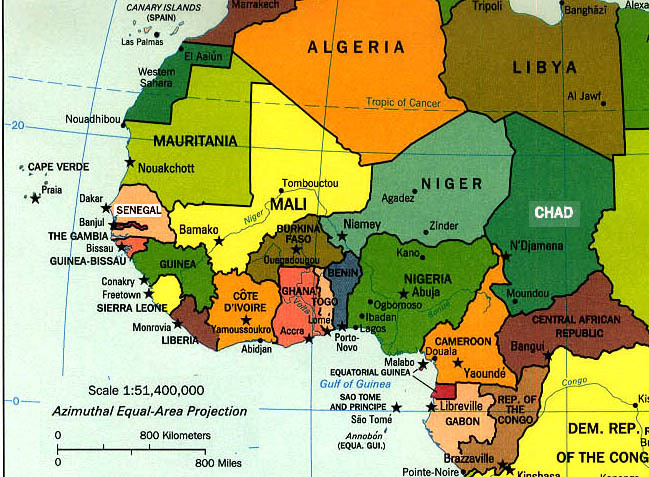 However, long haul crude imports from Africa declined by 0.2 mill barrels per day last year, as more light sweet West African crude was diverted to Europe to compensate for the loss of Libyan barrels. This year the expectations are for an even smaller increase in Chinese crude imports. The research unit of China National Petroleum Corp forecasts an annual growth of just 0.25 mill barrels per day, although around 0.8 mill barrels per day of refining capacity is scheduled to come on stream over the course of 2012 - some of which may slip into 2013 - Gibson said. For tanker markets, rapidly recovering Libyan crude oil production is likely to lead to stronger crude tonne/mile demand into China. The rebound in Libyan crude production is easing supply pressures on European refiners, making more African crude available for eastern buyers. At the same time, the geopolitical tensions in Iran, Sudan and Yemen could lead to less crude oil exported from these countries to China. These ‘lost’ barrels will have to be replaced, possibly from further afield, pushing tanker tonne/mile demand even higher. Last, but not least, there is also a possibility of higher crude imports due to strategic storage developments, more specifically the 2nd phase of the Strategic Petroleum Reserve (SPR). Although the Chinese authorities are still to release detailed information, the indications are that the reserve capacity during this phase could increase by 169 mill barrels. 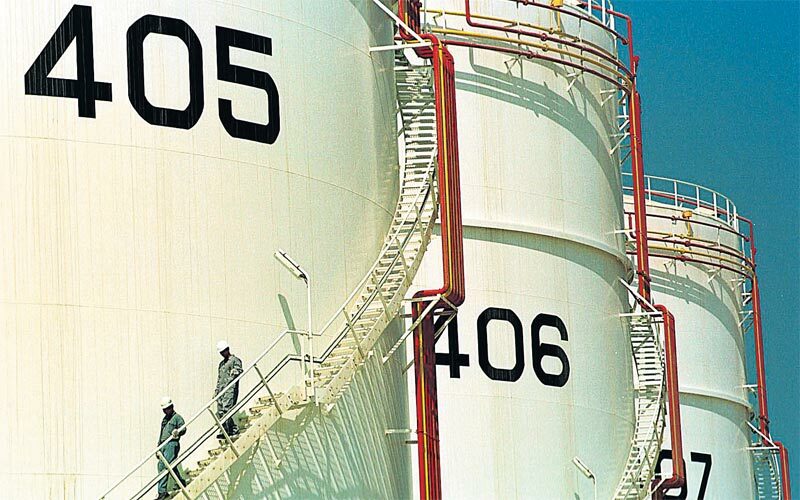 Media reports suggest that close to 79 mill barrels of storage facilities have already been constructed and are ready to be filled, or are due to be completed soon. If these 79 mill barrels facilities are filled evenly in 2012, this would imply an increase of 0.22 mill barrels per day in crude import requirements, Gibson calculated. However, the IEA warned that buying decisions were likely to depend on prevailing market conditions, such as the level of oil prices. Therefore, the pace of filling the reserve was expected to be more erratic and for tankers it was likely to translate into greater volatility. Combined, the above developments suggested that the actual crude tanker demand into China in 2012 was likely to be stronger than the base case forecasts would indicate. Yet, this may still not be enough for tanker owners this year, Gibson opined. Nonetheless, the further expansion in Chinese refining capacity and the filling of the SPR could mean a return to stronger growth in crude imports over the next couple of years, Gibson concluded. The International Chamber of Shipping (ICS) has expressed concern that the recent London Somalia conference did not go far enough on piracy. The ICS said that the conference did not appear to include any firm political commitment, or new actions to eliminate, or significantly reduce, Somali piracy in the immediate future. Governments must task their military forces to take the attack to the pirates and ensure that the military assets required to do this are maintained so they can continue to defend merchant ships in the best way possible, the ICS said. Little mention seemed to be have been made to the obligations of governments under the United Nations Convention on the Law of the Sea (UNCLOS) to protect merchant ships and their crews from piracy and the industry feared that the current level of pirate attacks is something, which the governments may be willing to continue to tolerate because ships are out of sight and out of mind, even though they transport about 90% of world trade. Abdicating responsibility to private armed guards to whom, in the absence of adequate military protection, shipping companies are now resorting in increasing numbers, is not a viable long term solution for eliminating piracy. Recent press reports might give the impression that the level of piracy off Somalia is decreasing, but the capability of the pirates is actually higher than it has ever been, the ICS warned. The shipping industry strongly supported the conference’s focus on the need for apprehended pirates to be arrested, taken to a court of law and, if found guilty, be imprisoned, including the announcement to establish a new Regional Anti-Piracy Prosecutions Intelligence Co-ordination Centre based in the Seychelles. 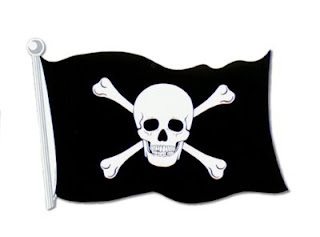 It also welcomed the determination of governments to break the financial chain through legal action against criminal financiers investing in piracy wherever in the world they are identified. However, the shipping industry would be deeply concerned by any suggestion that the payment of ransoms to pirates, in order to secure the release of seafarers being held hostage, should be prohibited, or criminalised, the ICS stressed. ICS said that it strongly believed that effective compliance with Best Management Practices by shipping companies and recent military intervention with a more aggressive stance, had reduced the pirates’ rate of success.